Coast Valley Moving & Storage is a ProMover member as well as a dedicated agent for Wheaton World Wide Moving – one of the finest relocation and transportation companies in the industry. 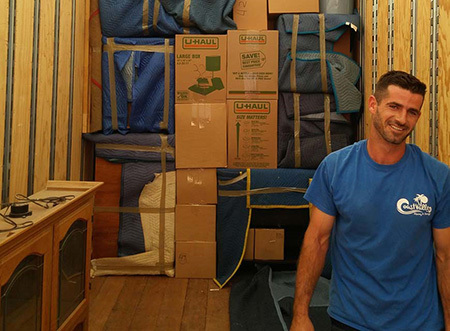 Our San Clemente moving company is also dedicated to quality customer service – handling local or long-distance moves for residential and commercial clients throughout the area! Coast Valley is a long-standing, reputable San Clemente moving company providing exceptional residential services for households of all sizes. To ensure your expectations are met, we'll send one of our Move Coordinators to your home to provide you with a written, accurate estimate you can count on. Your Move Coordinator will also be there for you throughout the entire process – whether you're moving down the street or across the country, you'll always have someone to call upon for assistance. For more information on the services we provide at Coast Valley Moving & Storage, please call us toll-free to speak with a friendly, knowledgeable Customer Support Specialist. You may also fill out the Quick Quote Form above to receive your FREE, no-obligation moving estimate today!